Don’t Have a Website or Just Want to Start All Over? No Problem. We Will Create a Professionally Designed Website To Fit Your Your Needs. From Layout and Design to Strategy and Copy, We Can Manage The Entire Project. Step 1 – The first thing we do is talk to you about the goals and objectives of your site. We go through a series of questions designed to “extract” the information we need to give you what you ultimately want…a professional and effective lead generating website. What is the main purpose of your website – what do you want it to do? What makes your company, products or services better than the competition? Do you have a lead capture strategy? How will you follow up with the leads your website generates? Will you want to incorporate audio or video? 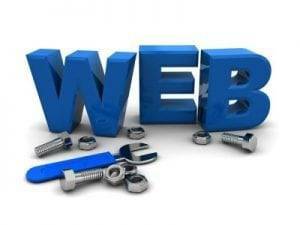 Step 2 – is to discuss the actual design elements of your website. These include examples of websites you like, copy, content and images we will need and any additional ideas and suggestions that may come up during our conversations. Additional pages obviously depend on your business, products and services.